The government has decided to carry out a “targeted operation” in the capital to eliminate terrorist elements. To wipe out sleeper cells of terrorists following the commencement of a military operation in North Waziristan, a door-to-door search operation is expected to be launched in Islamabad which will act on intelligence reports. A private news channel quoting sources reported on Thursday that the Rangers and police personnel would conduct the targeted operation, however troops of the Pakistan Army would remain on standby for their support. 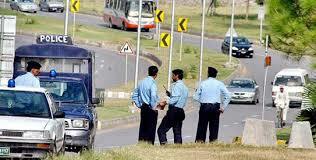 The operation would be initiated from the suburbs of the federal capital. According to sources, there were intelligence reports that militants have some strong connections in Tarnol and Bhara Kahu areas, adjacent to the capital city. Earlier this month, two lieutenant-colonels were killed in a suicide blast in the Tarnol area near Fateh Jhang. The initial focus of the targeted operation would be Bhara Kahu and Tarnol suburbs of the capital, however operation would encompass entire Islamabad city.